The Original Barber & Bar of St. Charles County! Hair Cuts, Beard Trims & Hot Shaves in a classy bar environment. Get a FREE DRINK with your hair service. Scalp Massage, Shampoo, Cut and Style. Hot towel & hot lather straight-razor shave, followed by a post-shave balm finish. Beard Wash, Dry Trim and Style. The Traditional Cut. Scalp Massage, Shampoo, Cut and Style. Shampoo, Cut and Style for ages 3-11. Just a few things you’ll find up at the shop. Billiards, Darts, Foosball, Premium Whiskey Rum and Gin from Still 630, The Billy Goat Chip Co. And of course… The Beardly Man! Without The Beardly Man none of this would be possible! I have been here about 5 times or so now. Lisa is fantastic! The entire crew is great, but I have gone to her exclusively. 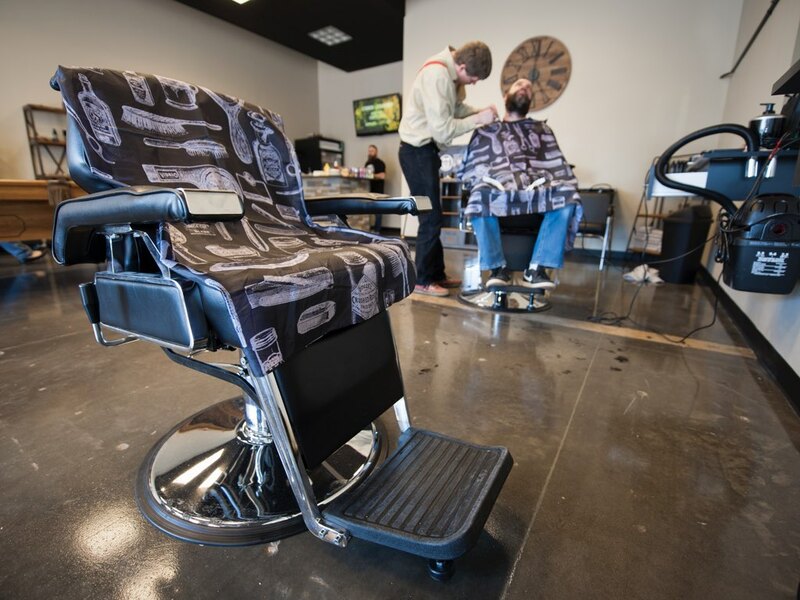 The Shop is a great way to "treat yo-self" for guys. Great atmosphere, the barbers are top notch, and the price is reasonable. Folks- this isnt your 8 dollar hair cut...the EXPERIENCE is worth every penny. Nice work guys! I’ve got so many compliments on my beard!!!! Amazing cut and some airbrushing by Jo Louis!!! Dude hooked me up!! My buddy referred me to him and I go to probably one of the bigger barbers here in the STLOUIS area!! So I came down to check it out and super excited I did!! He made me laugh, talked me through every detail, and gave me confidence the whole time I was in great hands!! The Bar is also great!! Freshly poured beer in a cold class!!! Man I never write reviews but I had to do it about this!! Great job!!! Great atmosphere and fantastic styling experience. Justin, you and your team are going to do great things! Looking forward to returning in about a month! Follow Us on Facebook For Promotions, Hot Deals, & Very Important Beardly Man Updates. WINTER IS... WHAT THE? GAME OF THRONES DEADPOOL! Think you know what's gping to happen this season in Game of Thrones? If you're right it could be worth more than you know! It’s like a man cave, barber shop, and bar all in one. 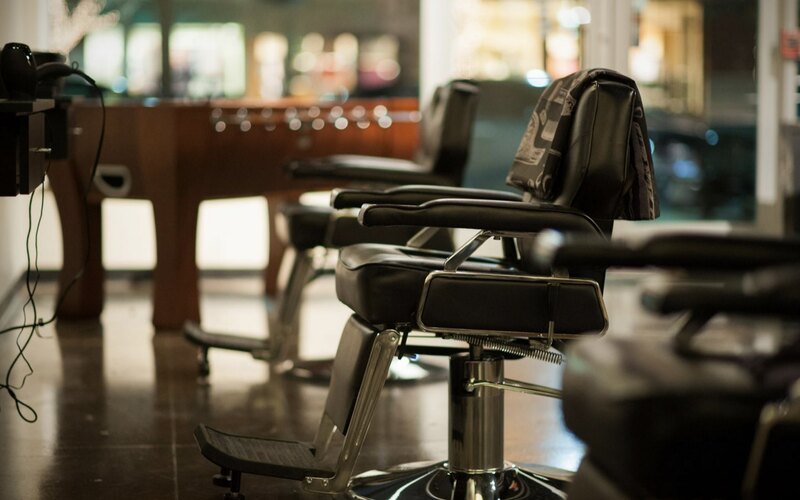 Recline on a leather recliner, play a round of pool, foosball or darts, and have a glass of locally distilled whiskey of craft beer at The Shop. We’re open till 10p, so this can be your man cave.